Levelland TX Towing Services the towing service Levelland TX is a duly-recognized towing company operating in the Levelland, Texas area 24 hours a day, 7 days a week, including holidays. Offering all kinds of towing services available for all types of vehicles, our company owes its success to individuals who are passionate about what they do, know the Levelland area by heart, and have years of experience to prepare them for anything that lies ahead. Not only are we a pretty cohesive unit, but we’re also dedicated to serving our local community, too. We make sure that our customers’ needs are prioritized above anything else. We have quick arrival time policy that guarantees we will never be late for any of our service operations in the area. Levelland TX towing comprises of skilled and experienced tow truck drivers and technicians who are trained in a variety of fields, including towing, roadside assistance, and car locksmith services. We are available 24 hours a day all year round and can have our technician arrive at your location. 806-686-2121! ​All our drivers, roadside assistance specialists, customer service representatives, and locksmiths are well-trained and certified experts in their respective fields. They also have tons of experience and know how to deal with any given situation, especially in the case of emergencies. They will not only provide you with the service you need, but they will also do what it takes to help you out—whether it’s finding your way to the nearest motel or gas station if you’re a newcomer or visitor just passing by. Levelland TX towing Offers a Complete Range of Towing Services! Looking to tow vehicles in or around Levelland? Do you need a quick tire fix? Your car won’t start? You might be out of gas, but far from a gas station. 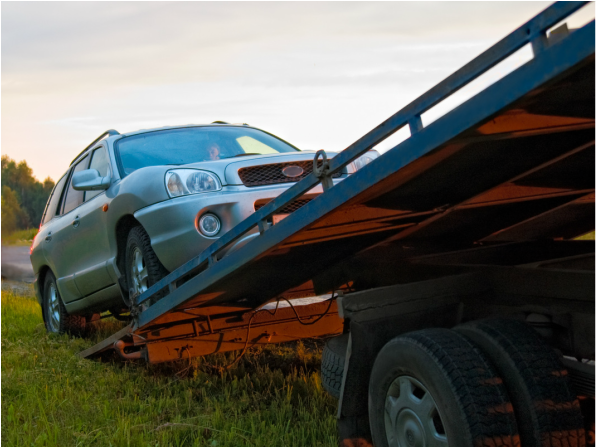 Whether you require a jump start or car replacement battery, Levelland Towing is committed to providing you with the most reliable auto towing and recovery services. We do a regular check-up, tune-up, and maintenance repair of all our equipment to make sure they’re still ideal for using and dispatching all over Levelland. We also guarantee that our tow trucks are of high quality, so no need to worry about experiencing any disturbances or interruptions while the operation’s well underway. We tow using wreckers, flatbeds, and dollies, and we tow all kinds of vehicles, too—sports cars, hybrids, smart cars, trucks, trailers, minivans, SUVs, the list goes on—at highly affordable prices. (If you don’t know the right tow truck to use your vehicle, we’d gladly make recommendations. Lastly, as mentioned, we’re dedicated to serving the local community of Levelland. Since we’re locally operated and owned, we’re telling you now that we’re not in the position to make lame excuses such as “inclement weather” or “unbearable traffic” when making our way to a customer. We always make sure to come on time, and that’s something our previous customers can attest to. Below is a complete list of our service offerings: 24 Hour Emergency Towing Technicians are available across multiple locations within Levelland , TX. As a result, they can arrive at your location with 30 minutes. Any time day or night, you can count on these expert auto technicians and drivers. What makes 24 Hour Towing Levelland unique? All the above roadside assistance and locksmith services are available on the spot – at the location of your auto; no towing required. All the technicians we work with are fully licensed, bonded, and insured and maintain years of experience in the towing industry. Customer satisfaction is a number one priority and our drivers strive to provide the highest quality work and auto care to our clients. Call us anytime, day or night at 806-686-2121. You can expect expert towing and knowledgeable technicians to provide reliable repairs at low competitive rates.